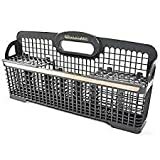 Genuine OEM Whirlpool Kitchen Aid Dishwasher Silverware Basket W10190415Make WhirlpoolReplaces the following part numbers:Part Number W10190415 replaces 8531282, 8562044, 1456094, AH2330355, EA2330355, PS2330355. - replaces 8531282, 8562044, 1456094, AH2330355, EA2330355, PS2330355. 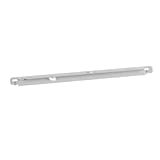 - PREMIUM QUALITY - The replacement part is made from durable high quality material and well-tested by the manufacturer. - Non original aftermarket part. Fits OEM Standards! Guaranteed to Exceed OEM Requirements! This is a genuine replacement part. 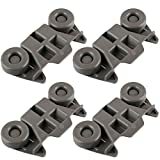 The model number and name for the following item is: Frigidaire 240356501 Meat Pan Hanger. 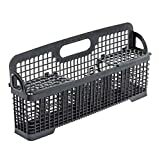 This is a Genuine Replacement Part ,The Model Number and Name for the Following Item: Whirlpool (WHIRA) 8531233 Silverware Basket.